Now, let's make our button navigate to the HomePage. We start by adding a function to App.js called goToHomePage. All it does it replace the top most value with an instance of HomePage. And that's all it takes. 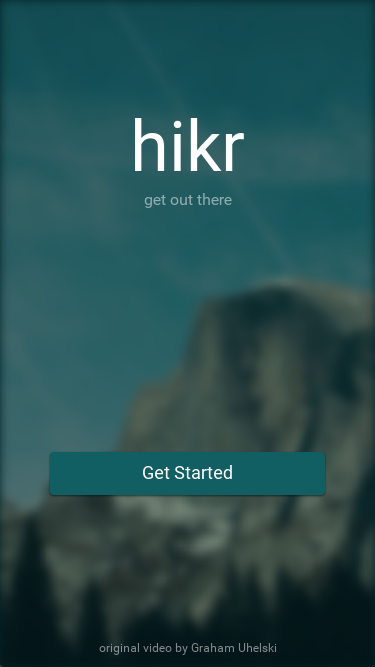 If we save all our files, and click the "Get started" button, our app navigates to the HomePage. Since we set the pages array to a new array with one element, we do not get any navigation history, which means we cannot use the back button to navigate back to the splash page. This is by design. Now, the video is only displayed within the bounds of the SplashPage. Easy! And that's everything! Now, our SplashPage is complete.